Doamnă Preoteasa Eleonora Lazăr peacefully fell asleep in the Lord at the venerable age of 96 years, Monday, August 15, the feast of the Falling Asleep of the Birthgiver of God and Ever-virgin Mary, at the Manor of Farmington Hills (Michigan) Nursing Center. Services will be held in Detroit at the Romanian Orthodox Cathedral of St George (18405 W Nine Mile Rd, Southfield, Michigan): Wednesday, August 17, 7:30 pm Saracusta (Wake); Thursday, August 18, 10:00 am Funeral & Pomana. Burial to follow at Vatra Românească. Born in Sharon, Pennsylvania on November 7, 1914 to Ioan and Anna Banceu, Orthodox emigrants from Romania, Preoteasa had two sisters, her twin Elizabeth, Victoria, and a brother, Aurel. She was a 1932 graduate of Newton Falls (Ohio) High School and, later, Warren Business College. On July 1, 1939, she married the theological graduate Eugene Lazar of Youngstown, Ohio, who was ordained as a priest three days later by Bishop Policarp (Moruşca) at Vatra Românească. The Lazars were blessed with two children, Eugenia (Dr Virgil) Tirmonia of Canton, Ohio, and Archpriest Laurence (Preoteasa Anita) Lazar of Southfield, Michigan, six grandchildren and six great-granchildren. Preoteasa and Fr Eugene, a most beloved priest of the Romanian Episcopate who fell asleep in 1978, served: St Stefan Church, South St Paul, Minnesota; Detroit’s Holy Trinity Church; Descent of the Holy Ghost parish, Gary, Indiana; Presentation of Our Lord Church, Akron, Ohio; and, Holy Trinity parish, Youngstown, Ohio. For a time, Father was also Administrator of St Mary Church, St Paul, Minnesota, and Chicago’s St Mary Church. As St Paul wrote in his Letter to the Romans (12:6), “We each have different gifts according to the grace (God) gives us.” Thankfully, throughout Preoteasa’s life, the grace given her became a gift for many others. She was part of that very small, dedicated generation of pioneers in parish religious education who established our Saturday or Sunday Church Schools. She adapted, translated or created the appropriate lessons for which Orthodox material (especially in English) was extremely rare. She taught the teachers and the children in tiny church basements or whole school buildings. For her efforts, the Holy Synod of Bishops expressed its appreciation in 1996. With Father Eugene, she coordinated parish programs for children, teens and young married couples; organized Romanian cultural groups and events and taught the Romanian language, chaired banquets and bazaars, sang in the choir, was often elected President of the Ladies Auxiliary, and served on their national board (A.R.F.O.R.A.). In her private life, she gave an example of charity, always sharing what little the family may have had. Beggars, who often came to the parish house, never went away hungry and never without hearing her say, “God be with you”. She chaired Folk Festivals of the International Institute; was a volunteer for the International American Red Cross, and counseled bereaved families as a hospital volunteer. For a period of time, and in spite of being so petite, she was employed by the county as a live-in counselor and monitor of combative and, at times, dangerous juvenile delinquents. 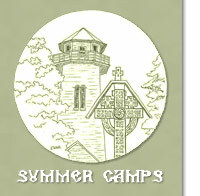 In the 1950’s, Archbishop Valerian (Trifa) chose her to be the Director of Camp Vatra. Working with him, and later with Archbishop Nathaniel, this became her most beloved ministry for over 25 years. She wrote the menus, ordered the food, taught classes, served as the nurse, wiped away the tears and hugged away the loneliness of many a child. Every summer, she was the “little mother” of up to 70 campers, plus their teachers and staff, who cherish wonderful memories of her. For nearly a century, the unassuming Maica Preoteasa Eleonora, whose demeanor was always that of a lady, committed herself to a life of sacrifice and service, and proved to be a gift to the whole Church. As another priest’s wife said of her, “I learned much from her – patience, perseverance and unconditional love. She taught me much by her example.” She was a strong and holy helper of her priest and husband, his “Scumpi” as he called her; a loving mother blessed to see her children’s children; and, as Holy Scripture says, “…a virtuous woman” who touched the lives of many in the parishes and diocese, always giving thanks to the Lord for the gifts given her, and urging others – especially the children – to do the same in their lives. She rarely stood in the limelight, but certain of the resurrection and the life to come she prayed for and trusted in God’s promise of a radiant crown in Paradise. Memory eternal! May she receive a crown of glory! Dumnezeu s’o ierte! At her request, offerings may be made to: (Preoteasa) “Eleonora Lazar Memorial Fund”, c/o 18430 W Nine Mile Rd, Southfield MI 48075.